I've never hidden the fact that my great love in life is making blankets......as I'm making one (or a few!) I am thinking about the next one. I like them baby sized, keeping warm sized, king sized.......I just can't get enough of them. I love to make them for gifts, knowing something I've crafted, is keeping someone warm. I thought I would share the new, the newish and then the 'should have been finished ages ago' blankets in my life at the moment....yep, there is more than one of them! This is my newest blanket........this is going to be a Christmas present, and if I can really get on with it, I may make two for my nephews. I totally fell in love with the idea of this blanket when I saw Emily's ( Unravelled) gorgeous blanket that she made for her son. Her blanket is what caught my eye, if I had seen the original I think it would have passed me by. I think I was first to comment on her tah-dah post and said that's my next blanket! 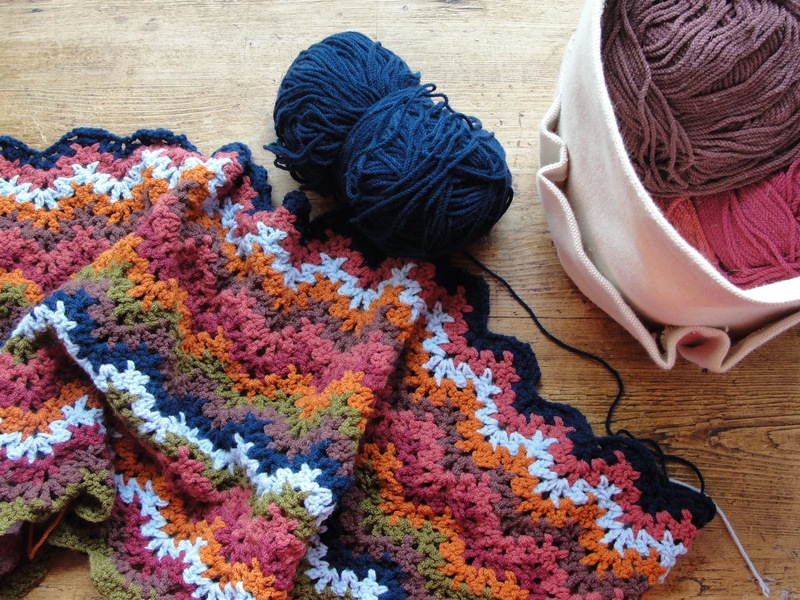 In the words of my cleverest crocheting friend I have reverse-engineered rather than bought the book, so mine will not be as perfectly formed as Emily's stunning blanket, but hopefully a little blocking and 'all will be alright on the night'. Next up is my Little Woollie CAL blanket. I cannot tell you how much I am enjoying this one......it is a dream to work on, and yep, I do think I have actually dreamed about it! 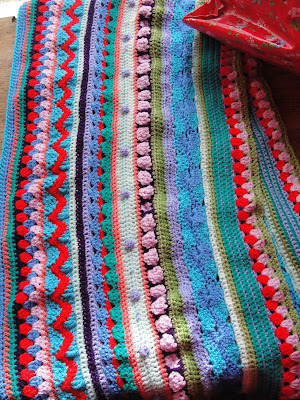 It is garish and gaudy and not as beautiful as Little Woollie's mixed stripey blanket.....but I don't care I AM IN LOVE! This is a blanket I started at the beginning of the year and despite being a really quick pattern, I am trying to follow the colour sequences in the pattern and it has really slowed me down, getting it out to photograph made me realise how much I love it, so I must get my felt pens out and figure a better/quicker way to see the next colour. This one is a slow-burner, but easy to pick up and down, its just I've been putting down more than I've been picking up....ooooops! The Kingcole Riot is just amazing as the colours unfurl. The last blanket, is the first I ever started....unfairly named the Boring Blanket. When I took this out of its bag, I hadn't realised quite how many hexagons I had made already.....I really should press on, as it is very pretty....and also pretty boring! 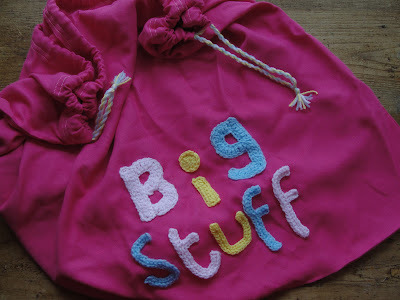 A big project bag, how well does she know me eh? Perfect for blankets....problem is, I could do with a few more! So....a few things that are making my world colourful at the moment....how about you.....what makes your heart skip a beat? Somehow I don't think I will ever tire of making blankets....why would I? You are amazing! So many blankets in progress. You truly are a blanket fanatic :O). Cute project bag your BFF made you! Oh my cupcakes that's a lot of blankets, very beautiful blankets. I think my favourite is your star blanket then the little woollies blanket but I have to say they are all Amazing! I love your birthday present too. Just brilliant. A belated Happy Birthday to you! Loving ALL you blankets, WIP's. A lovely way to stay cosy in cool weather is blanket making. Have fun. Happy Birthday!!!! 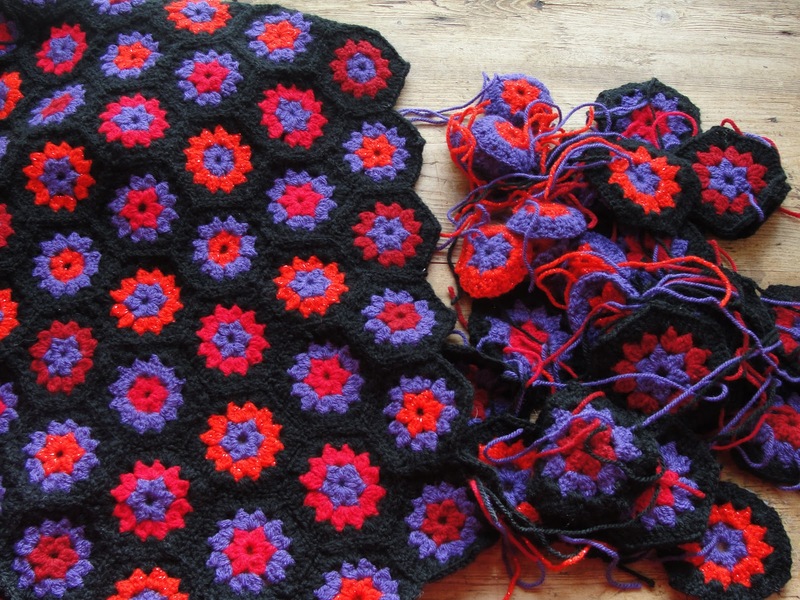 Love all your blankets although you are making my head spin with how many you are working on. Love each and every one of them. Happy Birthday Faith. 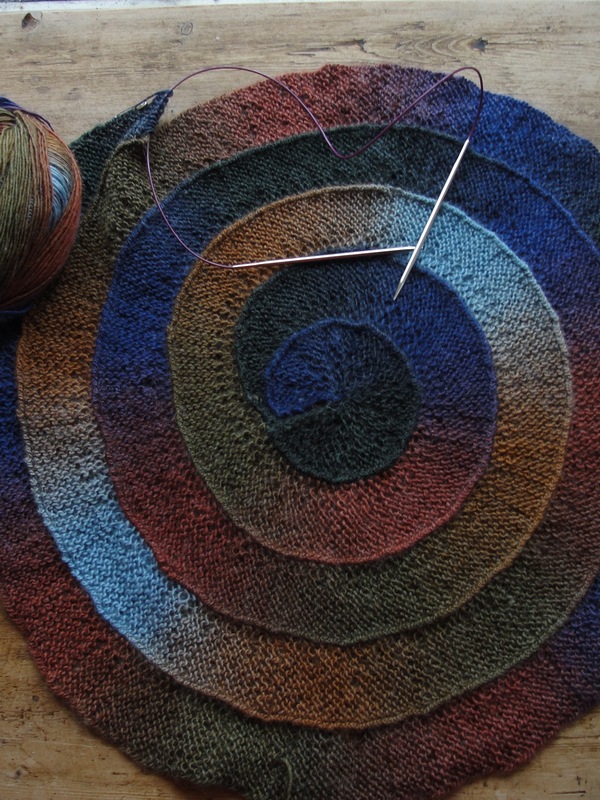 I love your blog and truly love all the blankets your working on. I really love the ripple one (third from the top). I couldn't find where you started it, but was wondering where I could get the pattern. I just love it and the colors your using. Oh, that star blanket is beautiful. The stars look like little starfish! And your lacy ripple sings of autumn, though perhaps you didn't plan it that way. Happy Birthday! May the year to come be filled with joyful stitches and finished projects. Oh Faith, they are all just wonderful! 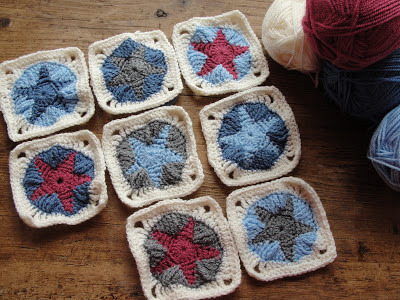 I love that star blanket, it looks perfect and your friends description of your pattern deciphering is wonderful! 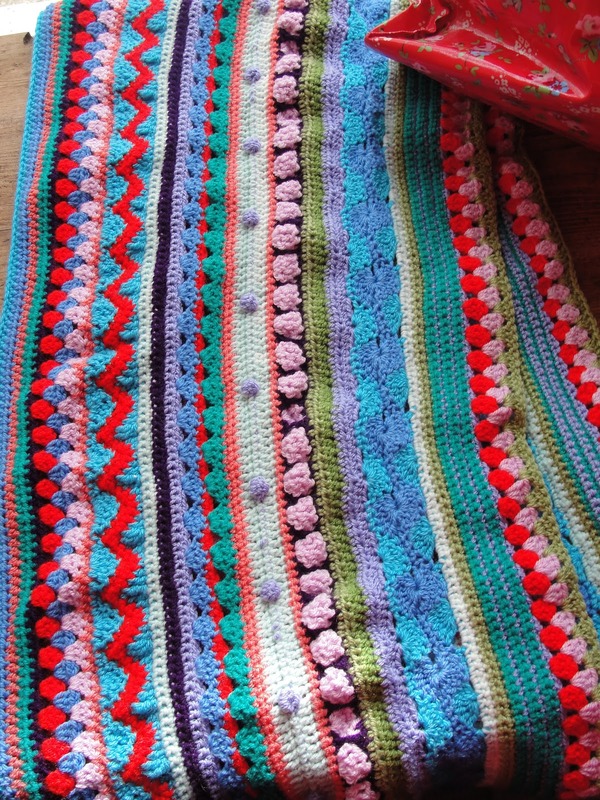 My favourite is still your vintage crochet blanket!! It's been on my list for ages,can I ask what yarn your using for it? Beautiful blankets...they are all so lovely Faith. 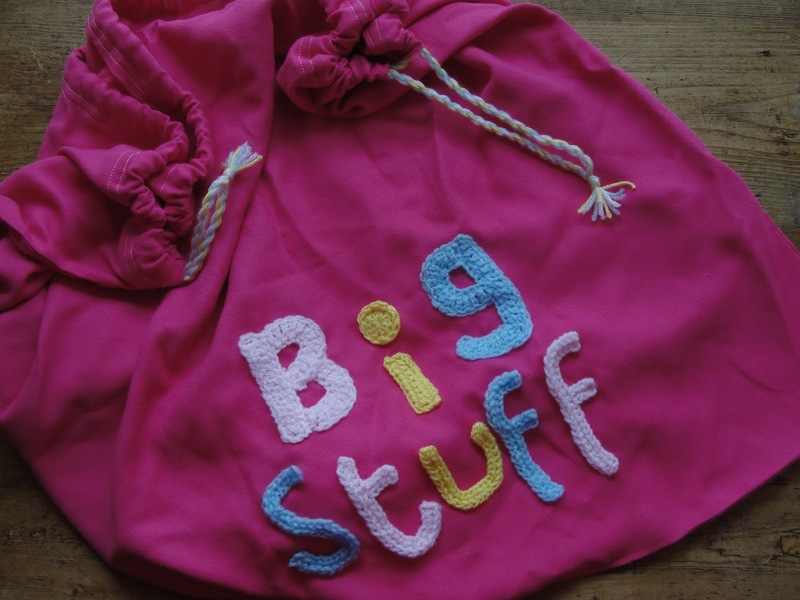 I especially love the colours in your Little Woollie CAL blanket! ..and who gave the name Boring Blanket to the beauty up there I wonder?..I can't wait to see it completed...Sometimes it's nice to go back to things after a break, isn't it?...These days I enjoy it. I'm hoping to get back to my Cats and Mice blanket over the next few weeks..it didn't seem right to work on it once spring arrived but now I'm so looking forward to working on it again...only a few rows of the last cats and a border to complete! I love blankets, too! Each one of these is so beautiful! I *need* to be able to do this crochet thing! They are gorgeous Faith, and so much nicer than most knitted blankets. Love the third one, that really is so pretty! And Happy Birthday, from another Libran, October really is the very best month for a birthday isn't it! Faith, they are all so lovely but I have to admit that the Little Woolie blanket totally ticks all my boxes - I REALLY love your colours and the pattern - it's divine. I have a strong desire to make one!!!!! You are so clever! I love the 'star' one. It reminds me of starfish! Smashing blankets! My favourite is probably the star one followed by the round knitted one (hard to choose between these two) then the zigzag ripple one. I've only two blankets on the go at the moment, I feel restrained now next to your collection, hehe! Holy cow - what an amazing collection of projects you have there hon! Your blankets look stunning!!! Now you just need an extra few hours in the day to work on them - good luck with that. Absolutely love the cat-pose pic in your latest post too. I love it when they do that upside down pose - it's just adorable. Take care hon, have a fab week.